However, as noted in theÂ Central Banking Journal article, there may be regional reasons for not switching to polymer. Apparently Nigeria is considering a move back to paper, primarily for reasons of ink durability. The fact that they have not yet done so might indicate that substrate manufacturers and printers are addressing this unique challenge with accelerated research and development. Whatever the outcome of decisions – pro or con – by Nigeria and other early adopter countries we conclude wholeheartedly that we are at the tipping point for polymer banknotes. No matter the substrate chosen for new banknotes it must never be overlooked that the war with counterfeiters will be endless. It is a war of one-upmanship. When countries introduce new banknotes, enterprising criminals will inevitably find a way to convincingly reproduce them. 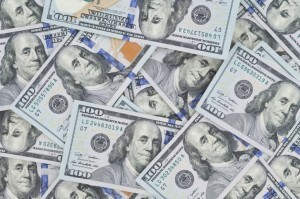 In support of this fact, we offer an interesting insight into the efforts of a masterful counterfeiter, who undertook the challenge of reproducing the new US $100 note with technology, tools and information readily available on-line. It would seem that the internet may be the single most effective weapon in the counterfeiters arsenal of “catch-up” weapons. We invite you to watch the video at the end of this article to learn how easy it can be for counterfeiters to compete for share of the public purse. Does the Bank of Englandâ€™s move to introduce substrate banknotes represent a â€˜tipping pointâ€™ for polymer currency? Polymer banknotes remain a daunting prospect for many countries. Money has been printed on â€˜paperâ€™ (cotton) for centuries, and for many people, the idea of replacing this with a plastic substrate feels unnatural. But the Bank of Englandâ€™s declaration late last year that it will adopt polymer for its most commonly issued Â£5 ($8.4) and Â£10 notes represents a significant change in strategy by one of the worldâ€™s biggest central banks. Moreover, on a global level, polymer banknotes are no longer the curiosity they once were. They have been tried and tested in almost every continent, and 27 countries currently print on polymer â€“ a testament to the security and environmental benefits they can bring. So, could a tipping point have been reached? The Reserve Bank of Australia (RBA) was the first central bank to experiment with polymer when, in 1988, it issued a commemorative A$10 banknote on the substrate. By 1996 it had issued a full series of polymer banknotes. Other countries were intrigued by the Australian experience but, according to a Central Banking journal report in 2007 were unwilling to experiment themselves. They were yet to be convinced that the benefits seen in Australia â€“ longer banknote lifespan and lower counterfeiting rates â€“ could be replicated elsewhere in the world. The introduction of polymer and printing plants in Mexico and Nigeria helped to allay some of these concerns. Then in 2011, Canada became the first G-8 country to introduce polymer, which helped to win round more of the critics. But it has not been a smooth process. Some countries, particularly in warmer climates, have experienced problems with polymer; while most of the worldâ€™s major economies persist with paper. It is a process that is all too familiar to employees of Innovia Security, an Australian company that produces the polymer substrate used in the production of more than 99% of the estimated 35 billion polymer banknotes in circulation around the world (It calls its product â€˜Guardianâ€™. De La Rue, the UK-based printing company, offers an alternative called â€˜Safeguardâ€™). Although 27 countries feature purely polymer banknotes in their current banknote series â€“ a number of others feature â€˜hybridâ€™ notes â€“ many others have experimented with polymer, often by issuing a one-off commemorative note on the material, but have gone no further. Philippe Etienne, managing director at Innovia Security, said many countries â€œtake the commemorative routeâ€ to introducing polymer when they want to experiment with printing on the material, but this is not necessarily with a view to introducing them in to circulation. â€œOur experience is that quite often when a central bank issues a commemorative note, they donâ€™t think about it as a normal circulating note,â€ Etienne said. â€œEven when they have a perfectly good experience, that doesnâ€™t correlate with the likelihood they will then issue a denomination or more on polymer. The adoption of a commemorative note is not a reliable predictor of the next step.â€ Security considerations drove the decision to adopt polymer at the Bank of Canada, according to the central bankâ€™s chief of currency Richard Wall. Although Canadian counterfeiting rates had fallen â€œquite dramaticallyâ€ in the previous decade, the central bank was â€œseeing vulnerabilitiesâ€ in the prevailing series. The Bank of Canada announced in March 2010 that it would switch its entire series of banknotes â€“ five denominations in total â€“ to polymer by 2013. â€œOnce having looked at it from a security perspective, and having made the decision it is the best platform, then the decision to use it on all of our denominations â€“ especially our high denominations â€“ was fairly easy,â€ Wall said. Wall added the central bank had considered a range of options, including a hybrid between paper and polymer, and concluded â€œafter a fairly detailed and rigorous analysisâ€ that polymer was the best option. Many of the early adopters were based in the Asia-Pacific region. Papua New Guinea and Singapore began printing on polymer in the early 1990s, shortly after Australia, while Malaysia and New Zealand were not far behind. This geographical bias can be explained by a number of factors. The first substrate producer Securency â€“ formed by the RBA and Innovia Films â€“ was based in Australia. Etienne acknowledged that the location of the production site does have an influence on the customer base. Central banks also have a long history of learning from one another. These relationships can be formed through international forums, direct technical assistance, or simply from discussing each otherâ€™s operational processes. â€œIt is absolutely the case that as central banks have positive experiences, other central banks take note of that,â€ Etienne said. â€œThe larger the central bank, [and] the better regarded it is, the stronger that implied endorsement.â€ Wall is more sceptical. He acknowledged the Bank of Canada â€œlooked at the experiences of other countriesâ€, but insisted this only played a small part in the decision-making process. â€œEvery countryâ€™s circulation experience is fairly unique. It is hard to replicate, and hard to port over experiences from one country to your own,â€ Wall explained. â€œWe listened closely to everyoneâ€™s experience, but in coming to our decision it was based mostly on what we saw in terms of testing, and the rigorous experimentation we did prior to issue.â€ No matter how they got there, every country that has put a polymer note into circulation has stuck with it â€“ at least, so far. 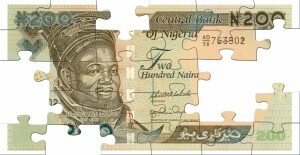 In November 2013 the Central Bank of Nigeria announced it would revert to paper banknotes after a six-year â€˜trialâ€™ with polymer, although it has yet to make the switch. A spokesperson for the central bank cited high production costs and a problem with ink â€œflaking much fasterâ€ on polymer than on paper as reasons for the decision. The issue of ink simply rubbing off the underlying substrate has emerged in the past. Concerns have also been expressed about notes melting if placed on a hot surface. But Nigeria appears to be the only country that has experienced any of these problems on a large scale. Many other central bankers â€“ including former Bank of Canada deputy governor Tiff Macklem â€“ have rejected such problems out of hand. This has raised the prospect that the Nigerian issues could be a product of local factors, although the central bankâ€™s director of currency operations Mahmoud Kudu Umar was not available to comment on the matter. It is possible, for example, there are problems with the adhesion between the particular ink and substrate employed â€“ the Bank of Zambia experienced such problems in 2004. Rather than switching back to paper the Bank of Zambia â€“ the first central bank in Africa to adopt polymer â€“ raised the issue with its printer and reiterated the â€œbenefits of using polymer technologyâ€ to the public. If Nigeria presses ahead with a move back to paper, it would be the only country that has issued a large volume of notes to overtly reject polymer â€“ although plenty of countries have issued ceremonial polymer notes and reverted back to paper. But major central banks continue to reject polymer when reviewing their banknote series. For example, when the European Central Bank (ECB) introduced its latest series of banknotes in May 2013, it chose to print them on a cotton-based banknote paper with an â€œadditional coatingâ€. ECB president Mario Draghi, in a letter to a member of the European Parliament, explained that printing on paper allows for a â€œwiderâ€ choice of security features, adding that switching to polymer would require â€œa very extensive educational programmeâ€. Many other major central banks â€“ including the Federal Reserve and Bank of Japan â€“ have shown little interest in introducing polymer banknotes. However, the Bank of England made waves last year when it announced it would print its Â£5 and Â£10 notes on polymer from 2016 and 2017 respectively. Romania is the only European country, at present, with polymer banknotes actually in circulation. But the track record for polymer suggests that when the UK makes the switch, and Innovia Security opens its printing plant in the north of England, other countries may follow. Polymer notes tend to be adopted in waves, with each wave having an epicentre. It was Australia in the Asia-Pacific and Mexico in the Americas. Could it be the UK for Europe and Commonwealth nations? Innoviaâ€™s Etienne said it was a â€œradical stepâ€ for central banks to print banknotes on a new material, but now that polymer notes have been adopted in more than 20 countries, the rate of adoption could pick up. â€œThe central bank world is a risk-averse, cautious environment. In the early stage, with little evidence to go on, you have to expect the initial adoption will be slow,â€ Etienne said. â€œI very much hope for, and thereâ€™s logic behind the expectation of, a â€˜tipping pointâ€™.â€ There are still only eight countries that print their entire (current) banknote roster on polymer: Australia, Brunei, Canada, New Zealand, Papua New Guinea, Romania, Samoa and Vietnam â€“ with Canada becoming the newest member of the club when the Bank of Canada issued the last two denominations of its â€˜frontiersâ€™ series in November 2013. It is too early to evaluate the impact on counterfeiting of the Bank of Canada series, particularly in the case of the latest denominations, but the initial signs are good. The counterfeiting level for all banknotes in circulation was 29 parts per million (ppm) in 2013, below the Bank of Canadaâ€™s target, while the level for polymer banknotes was â€œwell belowâ€ one ppm. While it can be difficult to place fraud statistics in context â€“ as countries use different techniques to measure the level of counterfeiting â€“ the Reserve Bank of Australia (RBA) also records particularly low levels of counterfeiting, with an average of just 12 ppm over the past five years. However, the RBA is concerned about â€œthe growing availability of more advanced technologiesâ€ that allow counterfeiters to reproduce the notes with greater ease and at lower cost. For example, the RBA issued a bulletin related to an incident in 2010, when â€œincreased volumesâ€ of high-quality polymer A$50 counterfeits entered into circulation in a short period of time. â€œOf particular concern was the fact that the counterfeits contained high-quality and consistent replications of the clear window, embossing and the white Southern Cross pattern within the clear window,â€ the bulletin noted. In response to the counterfeiting threat, the RBA plans to roll out a second series of polymer banknotes in the â€œcoming yearsâ€. Bank of England chief cashier Victoria Cleland said the UK central bank does not set targets for counterfeiting â€“ although she said the â€œideal targetâ€ would be zero â€“ and that its main aim is â€œto stay one step ahead of the counterfeiters and be always introducing the most sophisticated featuresâ€. Getting additional security on polymer appears to be easier than in the past. Innovia Securityâ€™s managing director, Philippe Etienne, believes the number of security features available on polymer banknotes has increased significantly in the past few years. He said that â€œthreads and watermarks continue to be very strongly usedâ€, while there has been â€œincreasing enthusiasm for holographic security featuresâ€, including foils. â€œIt is a very interesting, and perhaps at times confusing, environment with so many security devices from which to choose,â€ he said. â€œSomething weâ€™ve been pushing very hard, which I think is getting a lot of traction, is the integrated security features.â€ Cleland said that both the range and type of security features was an important consideration when choosing the banknotes substrate â€“ but that the type was â€œthe absolute coreâ€. â€œYou need to have something that is a) incredibly difficult to counterfeit; and b) is easy to authenticate. It is making sure youâ€™ve got enough choice within those,â€ Cleland said. She explained that, when evaluating its banknote series, the Bank of England takes into account the prevailing counterfeiting rates, but also â€œlooks forwardâ€ for the possibility to â€œtake advantage of new technologyâ€. The Bank of Canada takes a similar approach. Chief of currency Richard Wall said it was important to evaluate â€œthe whole of the infrastructure around banknotesâ€ to assess the â€œbarriers to the introduction of counterfeitsâ€. This includes the process employed by the police and the general public in detecting the counterfeits. The ultimate test, he said, is whether or not the noteâ€™s security features are â€œsufficient to provide the tools to that broad audience to stop the counterfeits from being acceptedâ€.